Come to the eagerly awaited return to King's Heath's Fletchers Bar of the award winning West Midlands group Out of The Shadows after their previous performances have had the audience dancing in every conceivable space! They will be supported by 16 year old singing sensation Matilda Pratt. Expect to hear over 2 hours of great rock'n'roll music from Out Of The Shadows featuring some of the greatest vocal hits from the late 1950's onwards including Eddie Cochran's “Summertime Blues”, Cliff Richard's “I Could Easily Fall In Love With You” and Dire Straits' ”Walk Of Life” along with a string of top instrumental hits including The Shadows' “Apache” , “Wonderful Land” and “Cavatina – Theme From The Deer Hunter” and Fleetwood Mac's "Albatross". Advance Tickets cost £4 cash from Kitchen Garden Cafe or £4.40 from www.wegottickets.com/event/451422. Support will be provided by 16 year old singer/songwriter Matilda Pratt who went down a storm at our Rolling Stones Fest in September and who will be performing a mixture of originals and covers. Europe's leading Rolling Stones tribute band The Stones return to the Hare & Hounds after their sensational show last year in a concert to conclude King's Heath's 55th Anniversary celebration of The Rolling Stones first ever appearance in Birmingham at the now sadly burnt down Ritz Ballroom. Our day long RollKing Stones Fest will take place on Sunday 30 September starting with an Afternoon Session featuring top local musicians at Fletchers Bar from 3p.m. 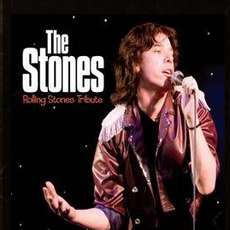 to 6 p.m and ending with The Stones performing a two hour show at 7.45 p.m. at the Hare & Hounds next door to the old ballroom. Formed in London in 1962 by Brian Jones after he met up with Mick Jagger and Keith Richards who had been childhood friends, the Rolling Stones started out as a blues group taking their name from the title of a song by Muddy Waters. For the whole of 1962 they played exclusively in the London area. But all that changed on 7 June 1963 after they released their first single a cover of Chuck Berry's "Come On". Just a few months later on 14 September 1963 they played one of their first ever gigs outside London and their first ever in Birmingham at King's Heath's Ritz Ballroom. Joining Brian, Mick and Keith on the tiny stage were Bill Wyman and Charlie Watts. The day after they returned to London to play at the Great Pop Prom at the Royal Albert Hall! When they next returned to Birmingham they played the much larger Town Hall and Hippodrome before going on to become the world's greatest Rock and Roll Band in the world selling over 200 million albums. From 3 to 6 pm a fantastic line-up of great local musicians will perform their interpretations of classic Rolling Stones songs at Fletchers Bar & Eatery. including Acoustica, Acoustic Sunset, Goodall, Layla Tutt, Matilda Pratt, Mr Apollo,Harmonica Bob & Oz and 2 Stoned! Tickets are also available for £9 cash from Kitchen Garden Cafe. Advance Ticket sales close at 1 p.m on Sunday 30 Sept.
Don't leave it to the last moment and pay more on the door! You really don't want to miss out on this special celebration of the day in 1963 that King's Heath first got stoned!!! Please note that there is seating at Fletchers but tickets guarantee admission not a seat so come early if you want to be seated. 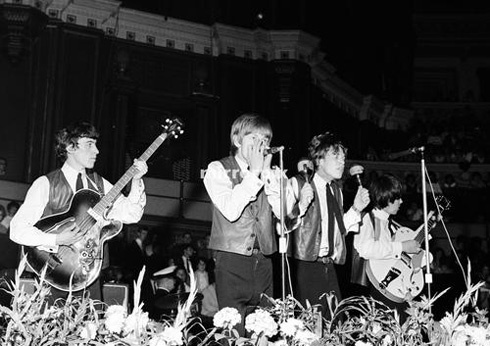 ABOVE: The Rolling Stones photographed at the Royal Albert Hall on 15 September 1963 the day after they made their Birmingham debut at the Ritz Ballroom. 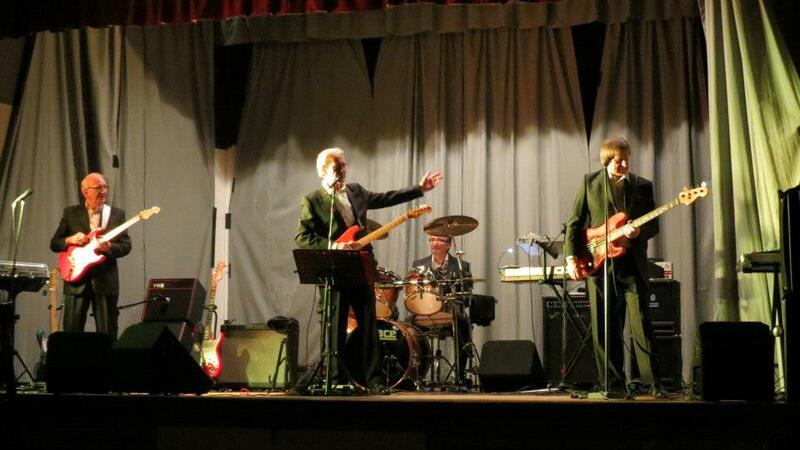 The Mersey Beatles appearance will come shortly after they have completed a major 12 date U.S.A. tour. 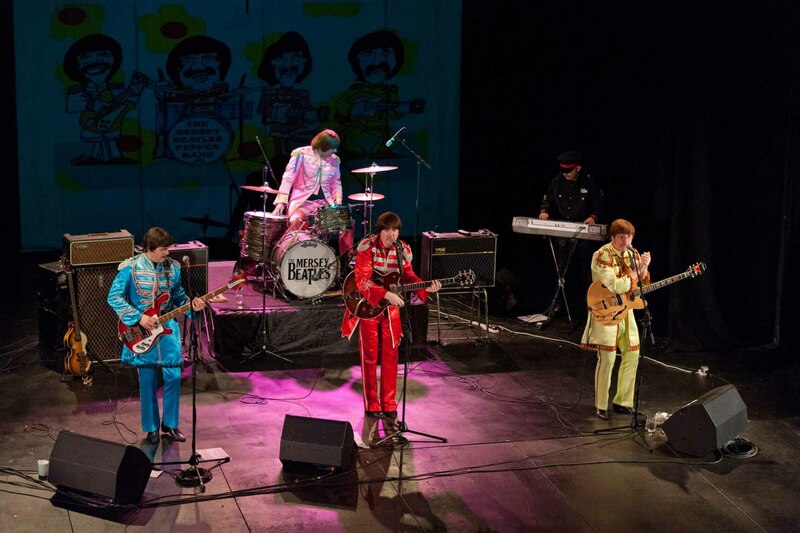 Tonight's concert will include sections to commemorate the 50th Anniversary of the White Album and the songs The Beatles would have played in 1963 when they made their final appearance at the Ritz Ballroom plus a great selection of their greatest hits.